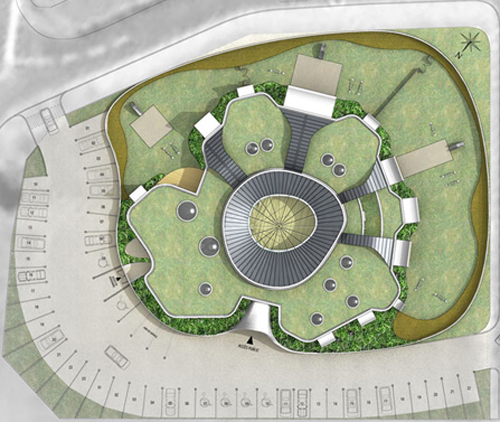 The design utilises a number of organic 'leaf-like' forms, the entrance opening up and inviting visitors into the circular central atrium or 'nucleus' and the children's play/activity rooms opening out from it. Here you can see the architects vision for the building to eventually be immersed in greenery - thus it will seem like entering a great dense forest. 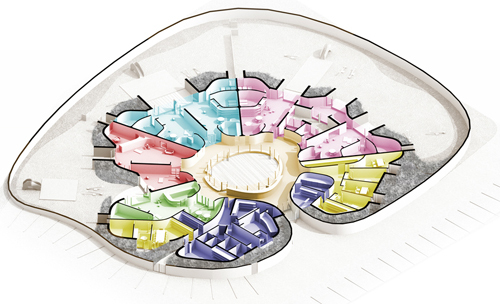 Each room is unique, yet all opening out from the 'nucleus' and including bathrooms, kitchens, dining and play rooms. Coloured lighting and flooring is used (as is common) to distinguish each room from each other. The design considers the child with its use of fluid curved walls and ceiling - promoting both movement and enclosure, of exploration and safety and security. 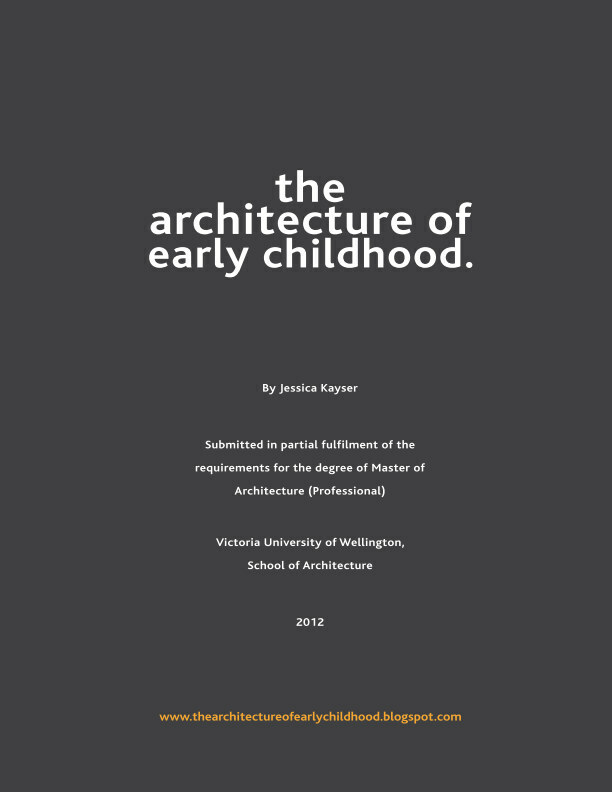 The scale of the child has been considered with its varied ceiling heights creating a wide range of space and volumes and thus experiences. Here you can see the construction of the internal curving storage units - which have the benefit of not only being functional but look to be fantastic for climbing and sliding on!